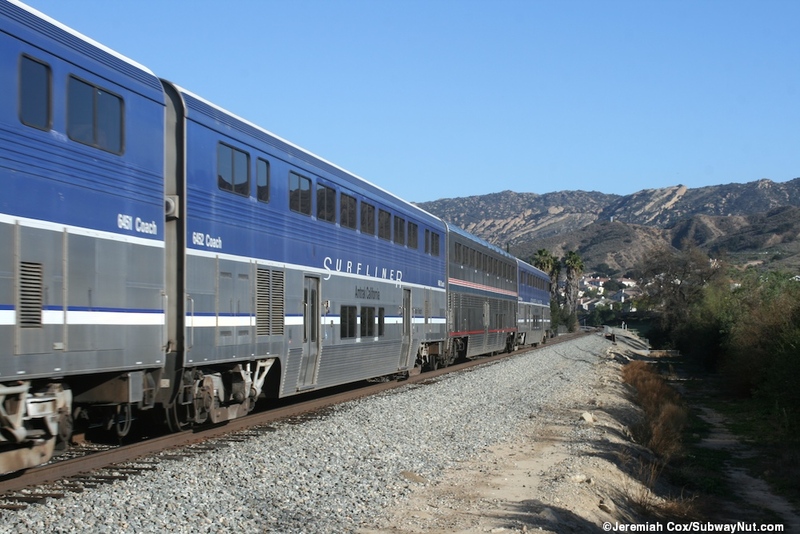 A train stop in the Amtrak-era in Simi Valley first began with the Coast Starlight (the only train north of Los Angles at that point) stopping on October 26, 1986 with '200 At Station to Greet Amtrak' (Daily News of LA, October 27, 1986, Link). 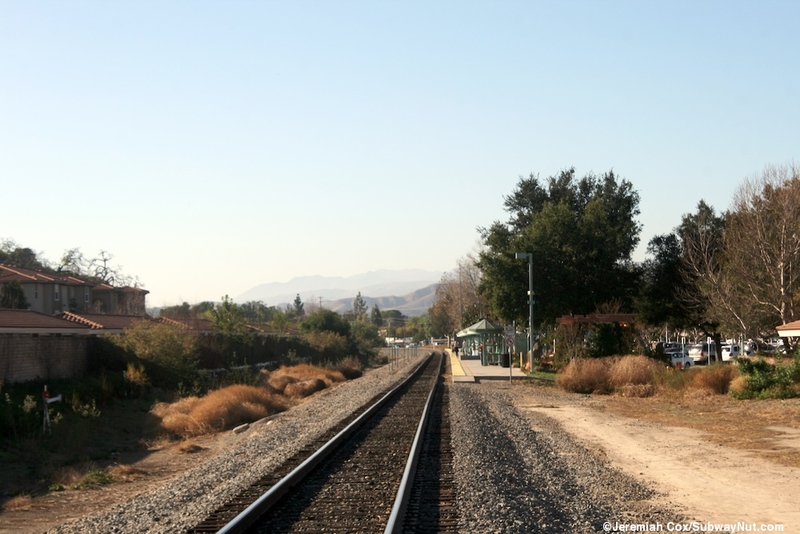 This platform was at a different location, the intersection of Los Angeles Avenue and Surveyor Street, 1.5 miles west of today's shared Amtrak/Metrolink Station. 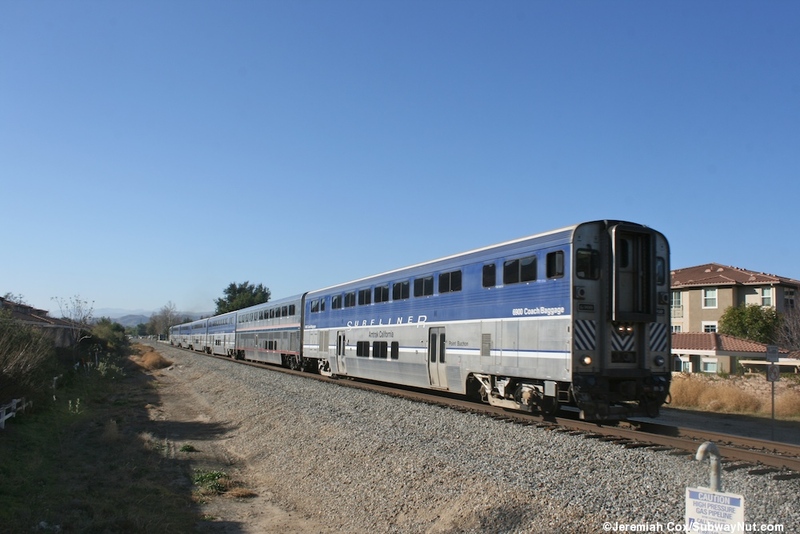 On October 26, 1992 Metrolink started operating at its current station and Amtrak moved to share its station in today's location around that time. 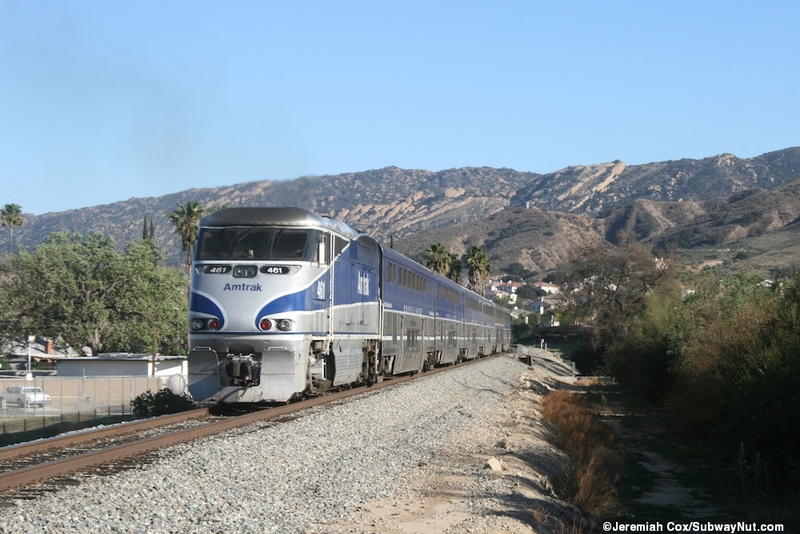 Today all five daily Surfliner round-trips plus the Coast Starlight provide Amtrak service to Simi Valley. 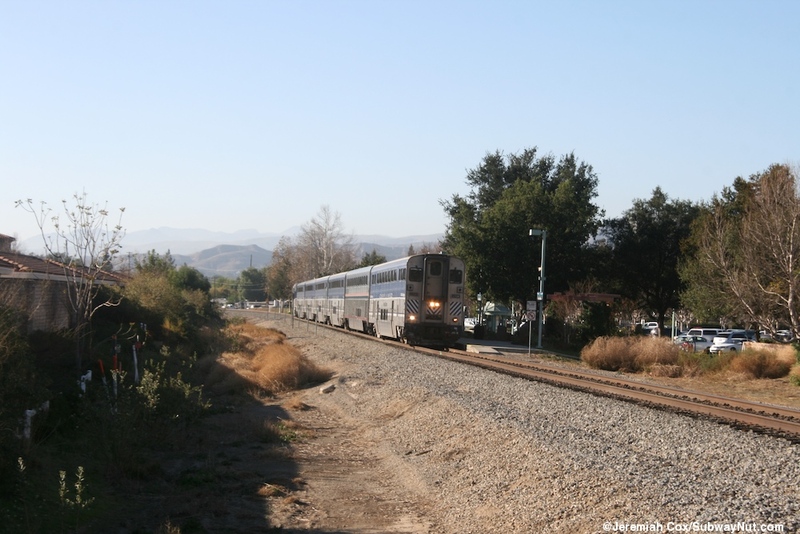 Metrolink makes seven stops per direction per weekday (five of these are peak direction rush hour, plus one midday and one reverse peak trip). 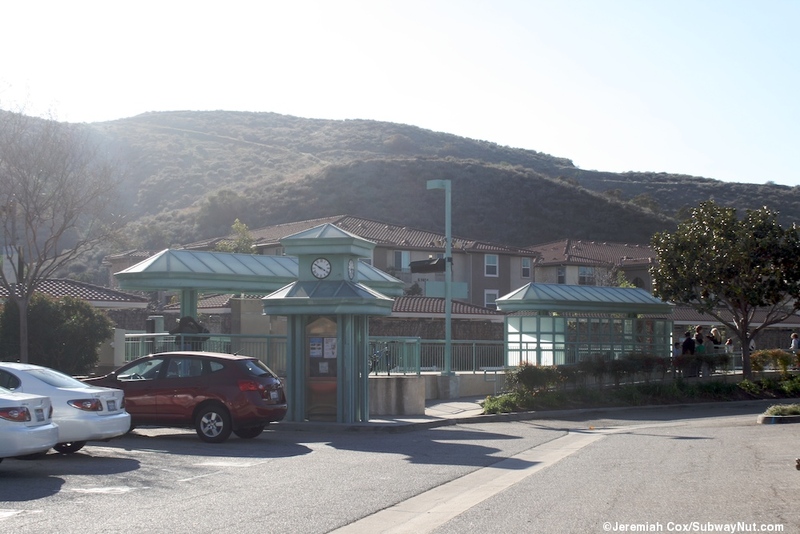 The station is located in the middle of the suburbs with some higher density surrounding apartment buildings that I guess could be considered transit Oriented Development but these are surrounded by covered parking spaces and not that attached to the station for access (there are trees planted for separation where the most direct path to the station for residents would be). 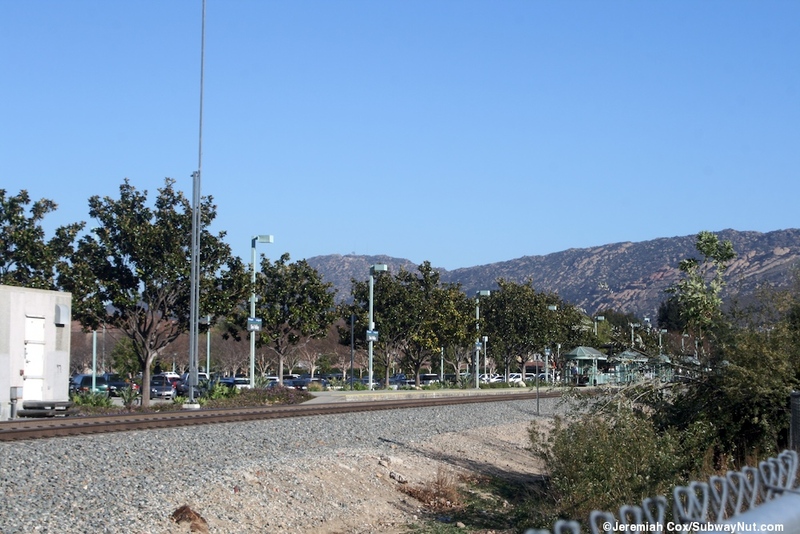 The large right triangle parking lot (the railroad is the hypotenuse) has 560 spaces and is bounded Los Angeles Avenue and Hidden Ranch Drive. 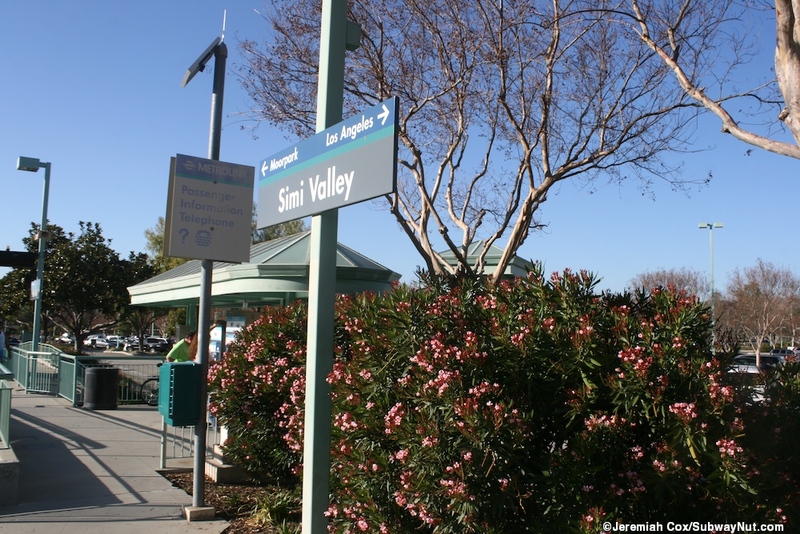 The nearest City of Simi Valley Bus Stop is at the corner, one bus runs slightly less than hourly down to the Chatsworth Station. 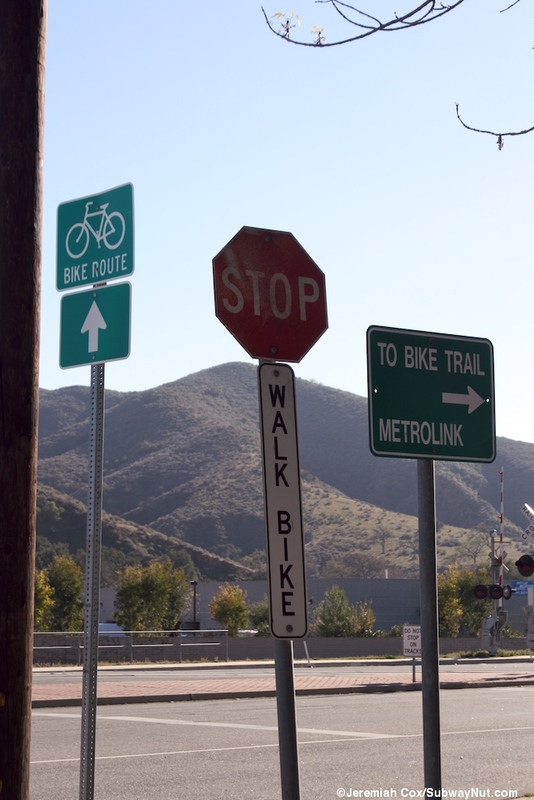 The parking lot entrances have standard Metrolink Station entrance signs (with also Amtrak written without a logo) there is another more decorative one with bronze letters spelling out Simi Valley Train Station. 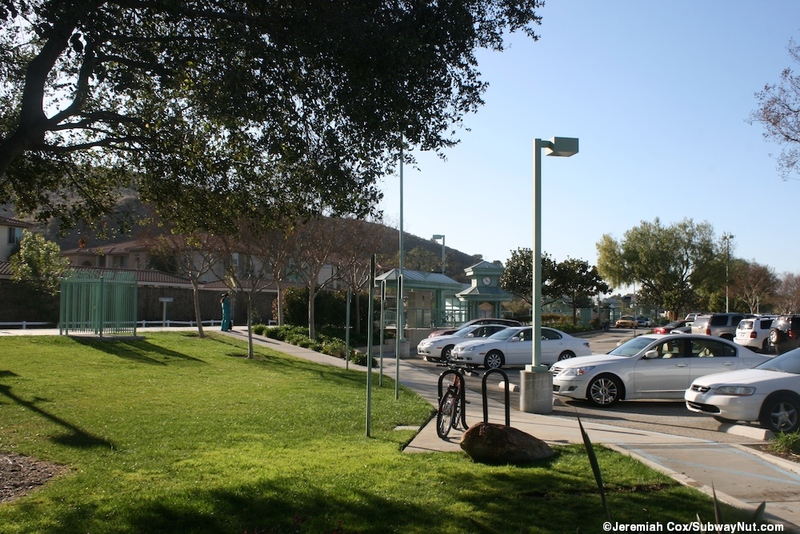 There is just some landscaped grass in some parts and trees and green fencing in other areas between the parking lot and the station's one platform for a single track. 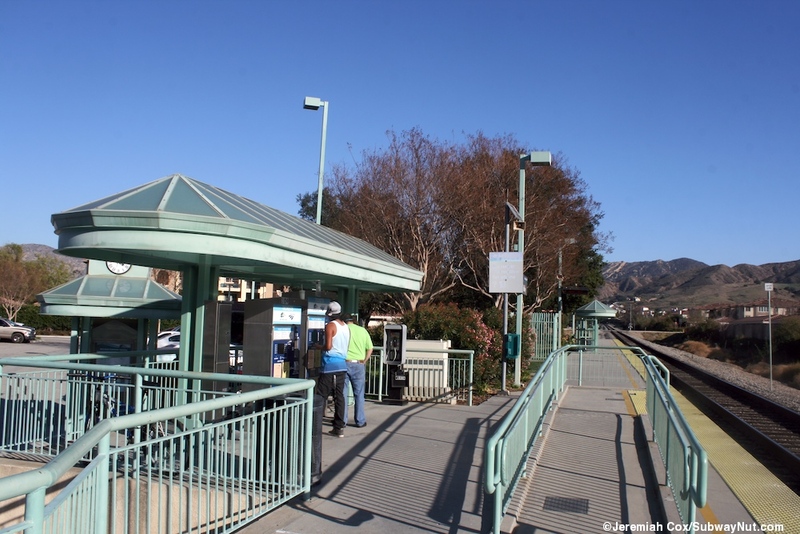 A central entrance leads past a Metrolink information square with a clock above. 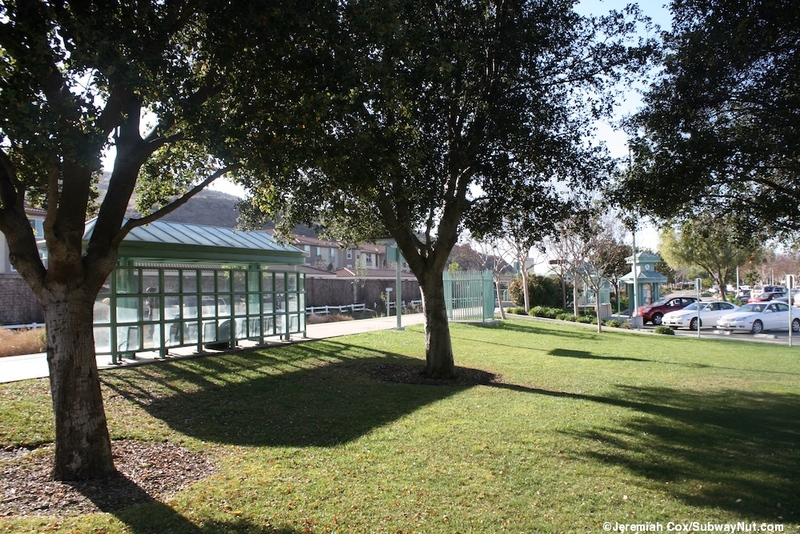 Up on the platform is a green shelter above the station's Metrolink TVMs. 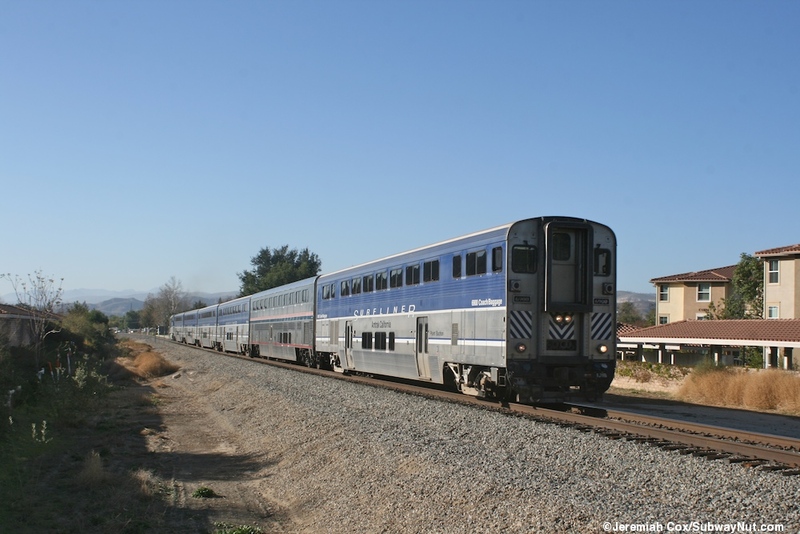 This long platform (the Coast Starlight can make just one stop) has five more large green shelters with benches beneath them. 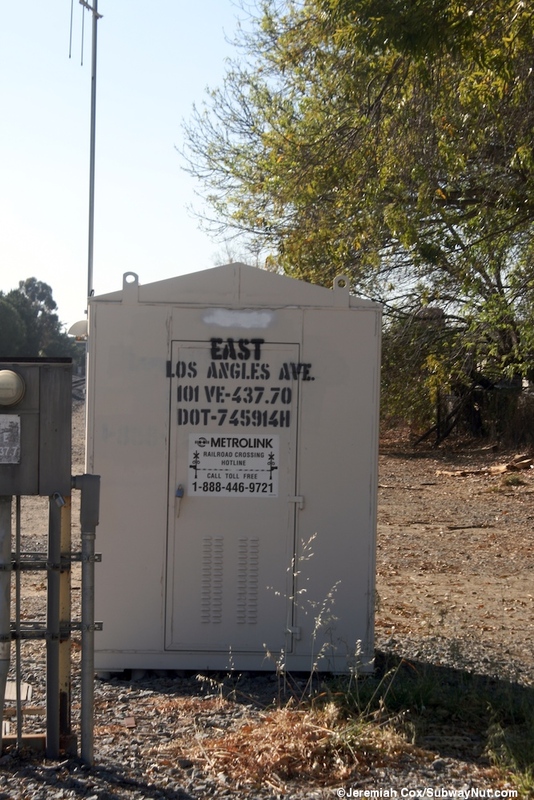 These have mesh backs and one has a coke machine. 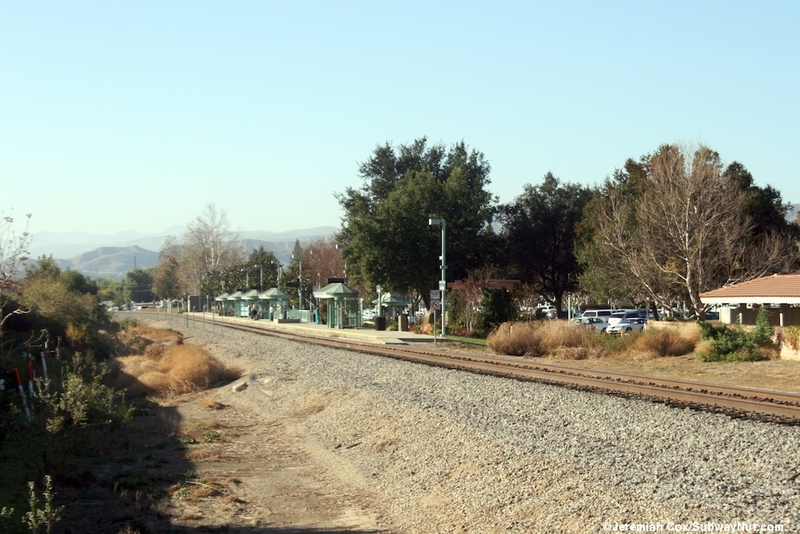 The lampposts are also green and all the signs are the standard Metrolink design. 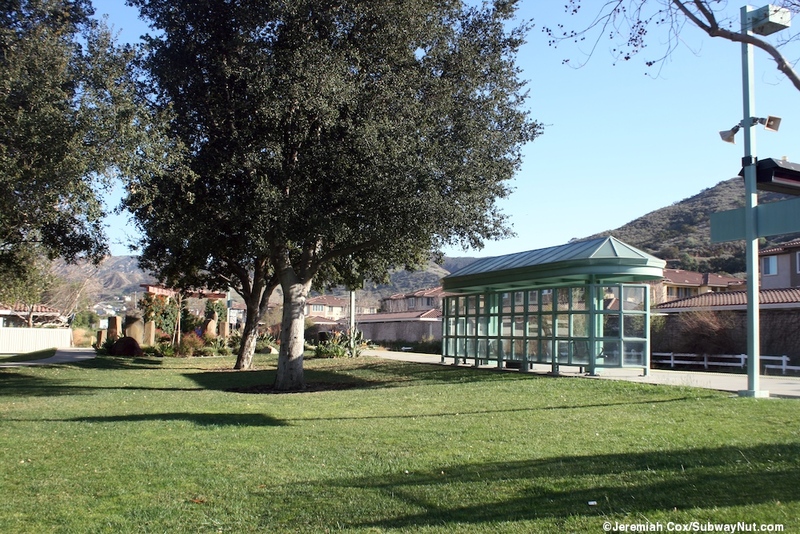 The eastern end of the platform has a permanent memorial garden to those who perished in the September 12, 2008 Chatsworth Metrolink Train disaster, which occurred after the Chatsworth stop as the train started running up towards Santa Susana Pass to reach the Simi Valley. 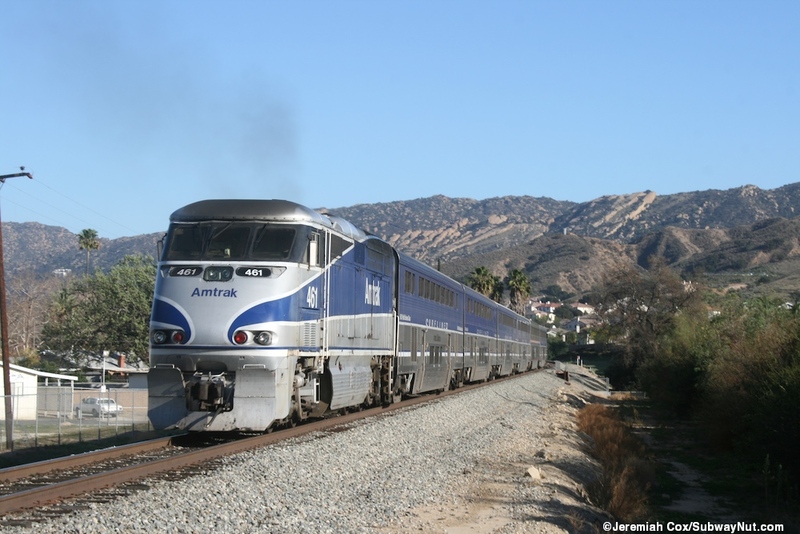 The engineer was texting in this incident and it led to a complete change in railroad safety rules (Amtrak conductors for instance are not allowed to take photographs while on duty after Chatsworth) and the current quest for Passive Train Control. The memorial has tall standing rocks as the centerpiece and the names of the victims are written above a quotation in the ground itself. 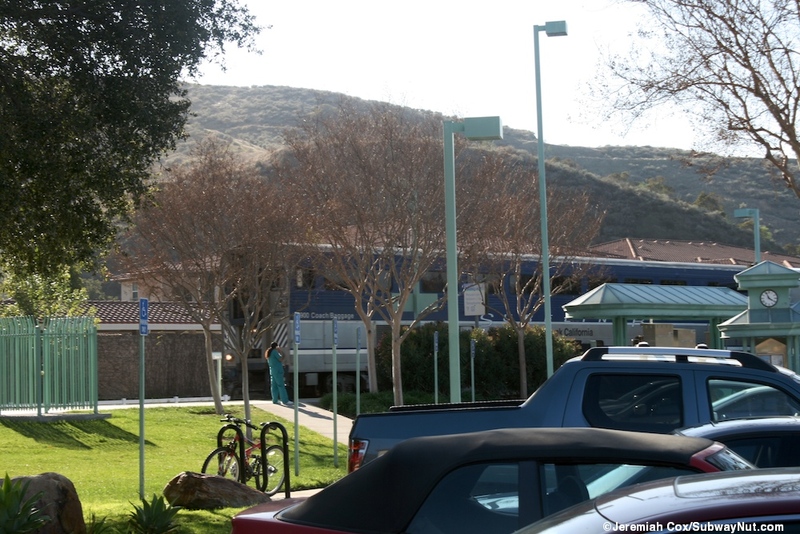 It is surrounded by some shrubs and trees. 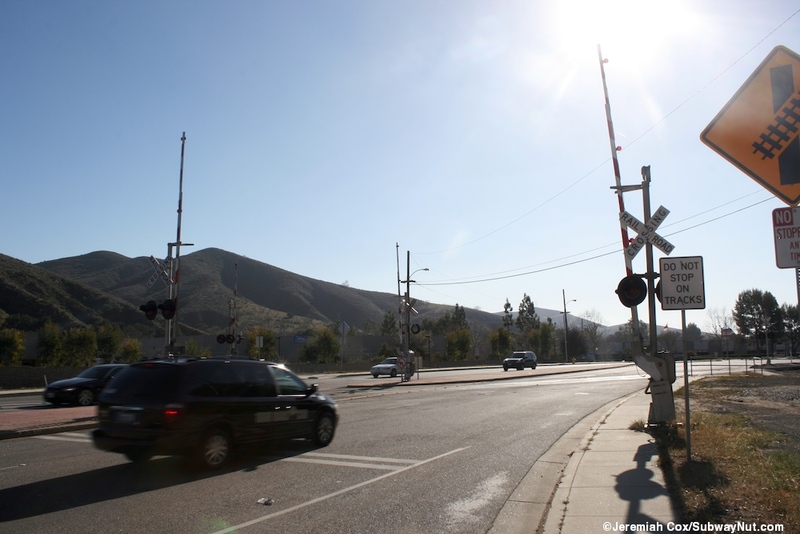 A separate plaque commemorates the names of the four Simi Valley residents who died in the January 26, 2005 Glendale Train Crash.